WHEN WAS THE LAST TIME YOUR ONLINE ADVERTISING ACTUALLY DELIVERED THE RESULTS YOU WANTED? 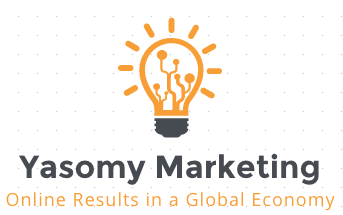 Yasomy Marketing is one of the fastest growing full service Internet marketing agencies in the country. We specialize in providing results driven integrated online marketing solutions for medium and large businesses across the globe. Companies come to us because our team of well-respected industry experts has the talent and creativity to provide your business with a more sophisticated data-driven approach to online marketing and advertising. Weird + Useful = Significant : That’s the digital marketing equation. We help you add it up, every day. We pull digital disciplines together, from SEO to PPC to Content Strategy, and make them work to build your brand, improve revenue, and meet your goals. The most successful web businesses know how to engage in conversations with their clients. Learn how Internet marketing is relationship building. We live and breathe Internet marketing: content creation, design, development, PPC, search, and social. We have worked with over 700 clients – clients that, on average, see a 30% improvement in leads or sales. But most importantly, we want to promote good-useful-clever-innovative products and services because we believe that great marketing can save the world.